I was recently asked by a spiritually hungry pastor who I dearly love, “How do you define ‘open heavens’?” I got the opportunity to share with his leadership team on this topic one time, and he has wanted more ever since. Open heavens. This is what we can and should be experiencing in our Christian lives. Closed heavens. This is what used to be the biggest problem in this world. But things seem to have changed drastically when Jesus showed up. 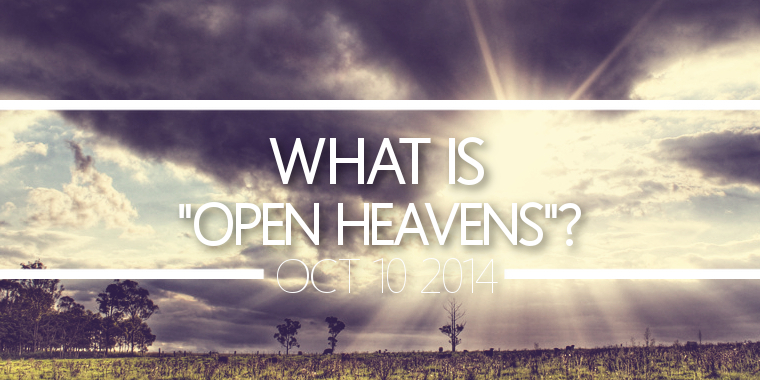 What is “open heavens”? Well, lets first talk about what “closed heavens” is so we can understand why open heavens is such an important topic. Closed heavens is when there is a barrier between heaven and earth. It is when the “prince of the power of the air” has dominion and the power to suppress us from being able to connect with God and receive from Him. This makes it hard to pray and get answers. It’s hard to experience God’s presence in worship. In short, it just makes life hard and deficient of God’s strength. It makes it feel like a religious life is primarily perseverance via our own strength. It is a lucky break when God decides to show up Sovereignly to help. This has been the state of the entire world due to all having sinned and fallen short of the glory of God (Romans 3:23). The sin of fallen mankind has created a barrier that separated earth from heaven. But thank God that He is not in agreement with this rift! It is for this reason Jesus came to this planet. Jesus didn’t just come to redeem us and reconcile us to God for later enjoyment. He didn’t just give us heaven for when we die and depart from this earth. No! Rather, He brought heaven to us! When He was baptized in the water and came back up, “the heavens were opened, and he (John) saw the Spirit of God descending as a dove and lighting on Him (Jesus)” (Matthew 3:16). When Jesus was baptized, the heavens were opened! Hebrews 10:19-22 further tells us how Jesus’ crucified body has become the new and living way into the throne room of God. This means, all the more, open heavens for us. Whatever God opens, no man can shut (Revelation 3:7-8). No sin, evil motive, rebellion, demon or principality can cause the heavens to close again! To further my case, let’s consider where Jesus is at right now. After He died, resurrected, and ascended, Jesus was seated once again where He belongs—on His throne in heaven at the right hand of His Father! And this is far above all principality, might and dominion, and every name. All things, even that which created a barrier, have been placed underneath His feet. (See Ephesians 1:20-22). Here is where this gets awesome! For those of us who are believers in Christ and His cross and resurrection, by some mysterious way, we are now In Christ. Because of this union, Ephesians 2:6 says that God has “seated us with Him in the heavenly places in Christ Jesus.” Wow! We are seated in heavenly places by being in Christ! And He is on His throne at the right hand of His Father. So this poses the question: How could there possibly NOT be open heavens for us when we are already seated there in Christ even while we live on this earth? If there is a barrier between us and heaven, then Christ is divided. We who are in Christ are open heavens! What does this mean for us? It means that we have complete access to God and every resource that He has promised us. Heaven is not on hold for you. It is ready for you to access now. 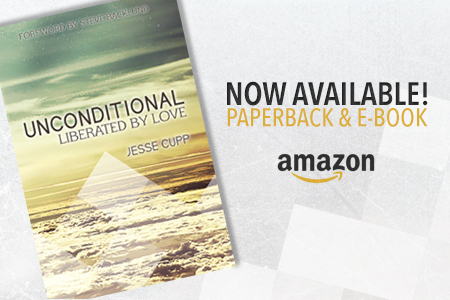 You don’t have to break through a barrier to get to where God is in your pursuit for Him. Where He is seated is actually your starting point in your pursuit for Him! I want to encourage you to practice praying and worshiping God, sharing the gospel, living your life, paying your bills, having family time, all with the understanding that you live in open heavens; that all of heaven is backing you up as you serve the will of God; that His angels are working with you; that you don’t only have access to the throne of God by the work of Christ, but you actually live from that place. We don’t live towards heaven from earth; we live from heaven towards earth. If you liked this blog, please share it on your favorite social media!